Tips & Techniques | Stamp Right Up! One of the owner’s & face of Lawn Fawn, Kelly Marie Alvarez recently revealed to us Lawn Fawn fans that she was battling long term Lyme disease. As a person who suffers from chronic pain I can understand the rollercoaster chronic health issues can be; so I thought I would send her a card to hopefully brighten her day. 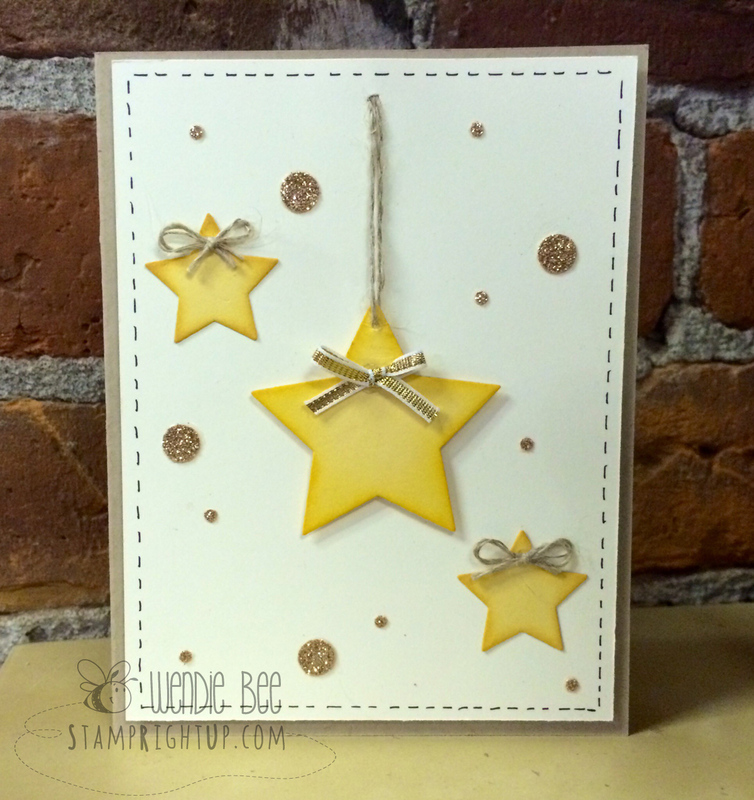 Just a quick post to show you the card I made using the Star framelits that are FREE with a stamp set too when you buy a Big Shot this month. I know crazy right?! Get this set of star framelits FREE with the purchase of a Big Shot for the entire month of August!! 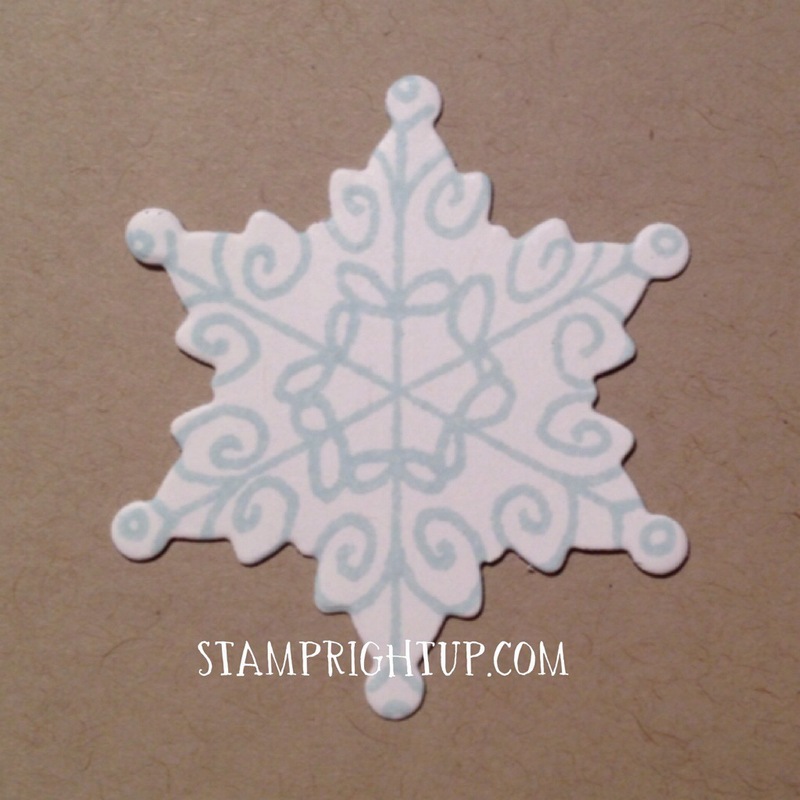 Just a quick tip for the day: when using Stampin Up’s the largest stamp in the new photopolymer set Endless Wishes, it coordinates almost perfectly with the smallest die from Stampin Up’s Festive Flurry set! If you have the magnetic platform it makes it super easy to line up too. Talk about more bang for your buck! 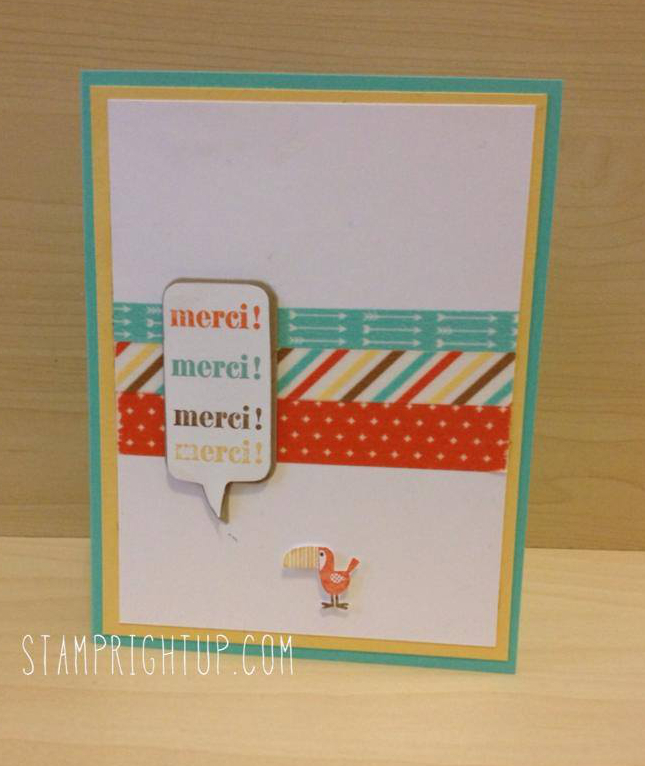 I love it when I find alternate uses for all the great Stampin Up tools I have. If YOU have any great discoveries please post a summary & link to your blog so we can all share in the awesomeness! I recently made this card for one of my stores that I sell to – it is such a fun card to make!!! Using Stampin Up’s “Pun Fun” (now retired), I colored the rocket with water color pencils, fussy cut it then popped it up on the base. Using the stamp itself for revference, I hand drew all the little details in fine pointed black pen. Sentiment is from Paper Smooches. The sizzix Flip-It die was sued to make the base & layers – I trimmed a second color (daffodil delight) down to fit. Use ONE cutting plate and your CREASE pad!!! Youtube video’s and other websites will tell you to use two standard cutting plates, but that second plate is what makes the difference. 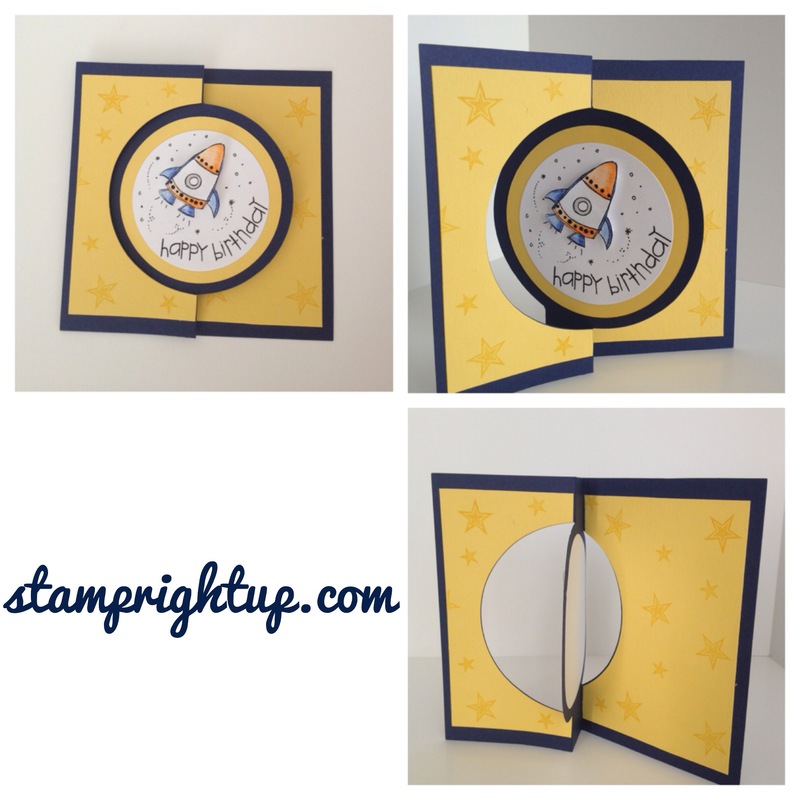 Put your crease pad on the bottom, your Sizzix Flip-It die in the middle, then your card stock and your cutting plate on top. That should fix any cutting through, or tearing of your scored folds. Here is what I have been up to lately: CAKE POPS!! These were actually for my partner, who was returning from a week long business trip – I wanted to make something special for him, and I knew he had a sweet tooth. It occurred to me while I was making them that this would also be a GREAT Father’s day gift as well. 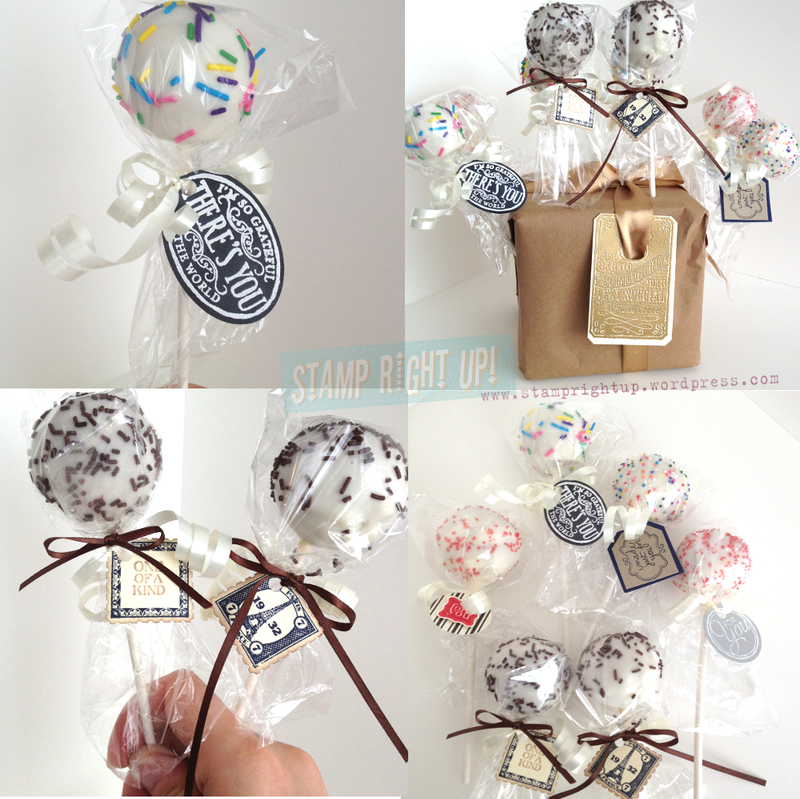 It could be a fun thing for Mom’s to do with kids to make the cake pops, then Mom could get in there with her Stampin Up gear and make the labels. These are a great manly / masculine gift period – I found the trick is to make sure you use ‘manly’ colors – like the brown sprinkles and neutral colored tags etc. 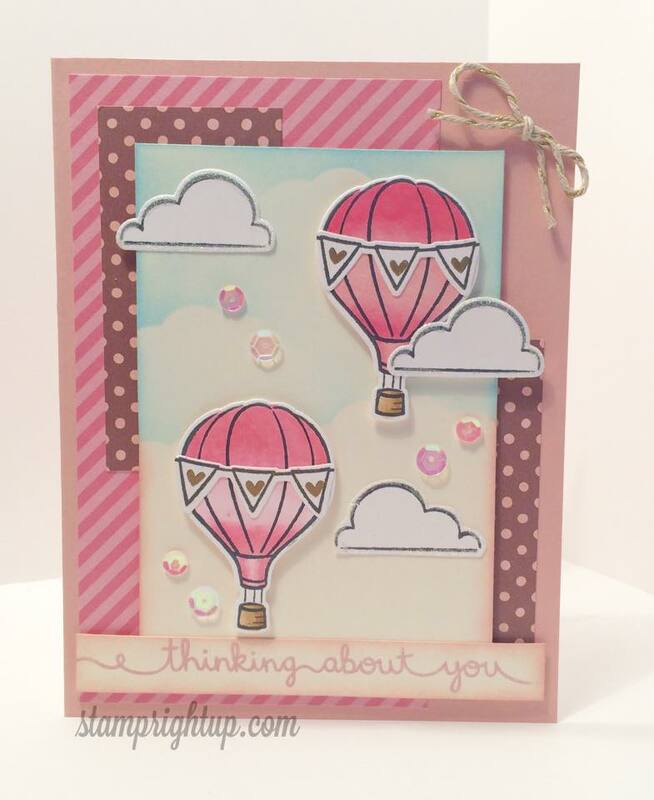 I pretty much used half of my craft room for this – but you could really use ONE stamp set and they would still look great! The recipe on the Duncan Hines website states to use half the icing tub – I actually only used a QUARTER of the tub. Using half would probably make your cake pops a little too moist and they may fall off the stick while you are trying to coat them. Try adding a tablespoon at a time until the mix is moist enough to make a into ball. To melt the (Wilton) candy / chocolate: use the DEFROST button on your microwave if you do not have a double boiler. Both of these tips are crucial to the success of your cake pops! I tried to make cake pops before and it was a disaster. I am happy to share any info you would like that I may have missed here – simply leave me a comment! For my latest workshop to celebrate the new catalog, I prepared a little thank you gift for the attendees. I wanted something that everyone could use, and that looked great, but was still within my budget – so I made these great goodie bag / party favors with a few basic tools. * TIP* I stuck my embellishments to a piece of clear acetate to make sure that the presentation would be perfect. 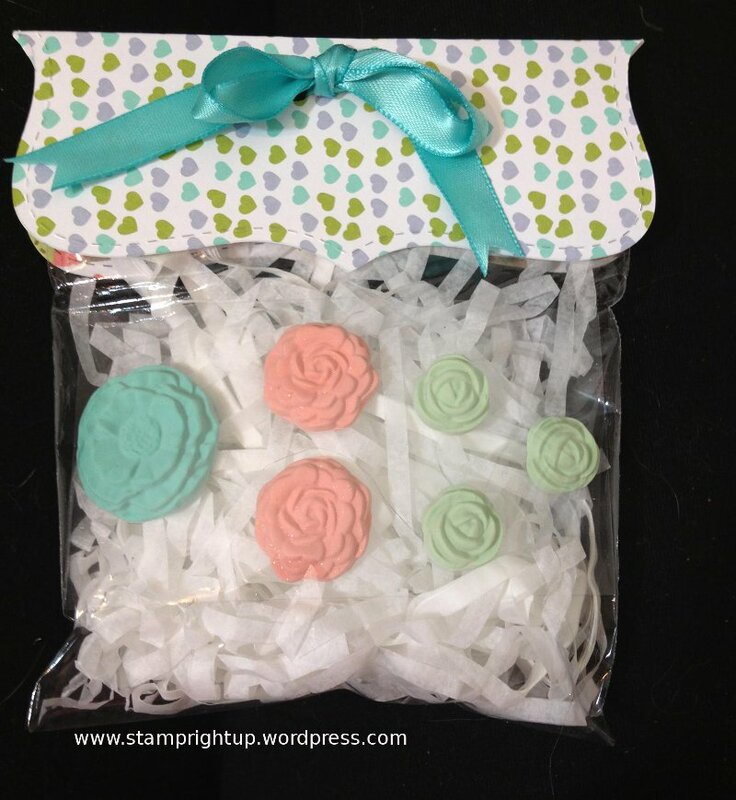 I made the embellishments from the new “Buttons & Blossoms” clay molds available in the new Stampin Up catalog. Using the freshly pressed 2013 – 2014 In Color line, these are the greatest thing I have seen in a looooong time for crafting!! I hate it when I cannot find embellishments to match my project colors. NOW you can make your own!! ALl you need is the clay (which goes a LONG way – at least 60 embellishments from one bag of clay) and some reinkers. Your total investment is around $20. Just THINK of the savings!!! And the convenience… Need I go on? Keep calm, and craft on! !